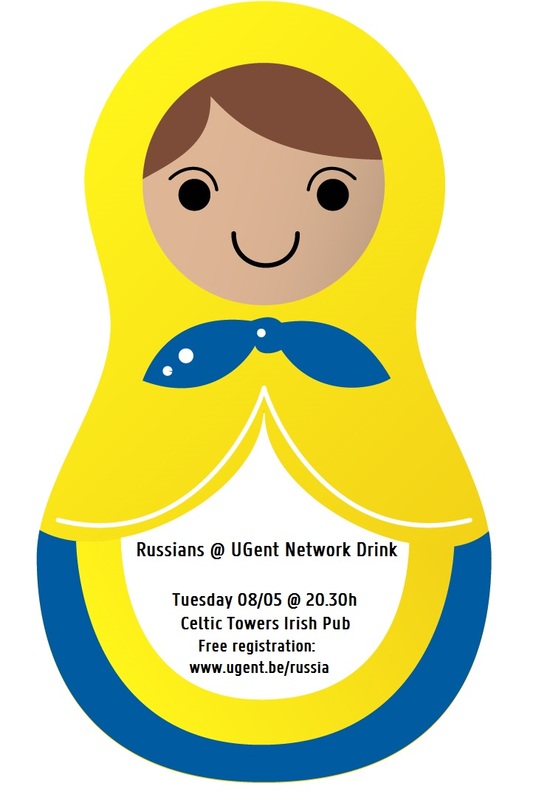 The Russia Platform organizes a Network Drink on Tuesday 8th of May 2018. We invite students and staff interested in Russia(n) to meet with Russian students and staff at Ghent University. Would you like to practise your Russian? Have you been to Russia or are you planning a stay in the near future? Would you like to meet fellow students or colleagues from Russia? We invite you to have a drink with us in the Celtic Towers. Participation is free, but online registration is required. And remember: networking - это нет working..